When Amy Lee, the frontwoman of the rock-metal band Evanescence, announced that their guitarist was replaced by the woman, it was a big surprise for Ev's fans. 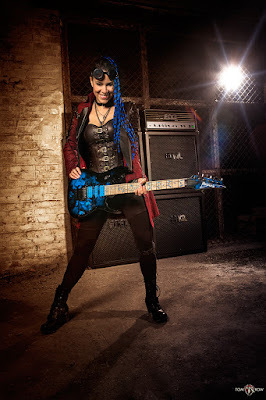 But with help of Jen Majura and her guitar skills this group certainly is not going to be softer. In a special interview the new guitarist is talking about her musical experience, inspirations and her free time, which actually does not exist. Meet Jen Majura - the master of guitar and the new member of Evanescence! 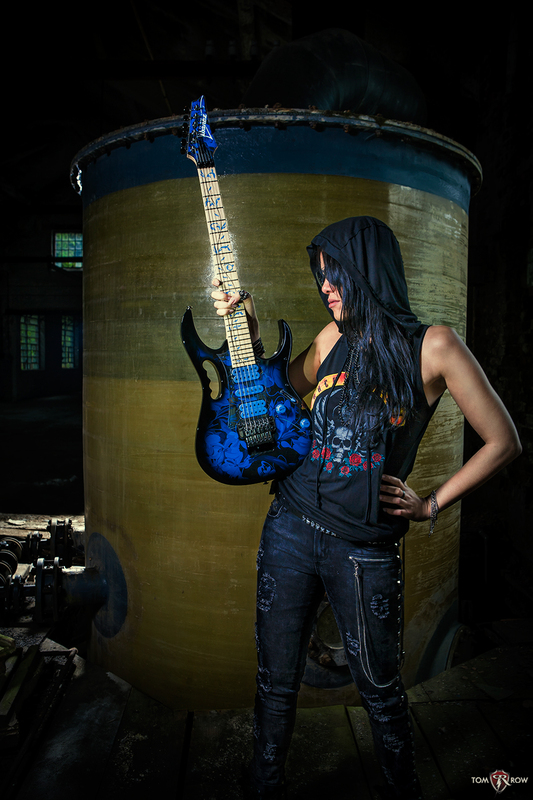 On 7 August you were announced as the new guitarist of the rock-metal band Evanescence. How did your friendship with Amy Lee start and when did she ask you to join the group? I received an email of the management, asking if I would be interested in working with Ev. I stopped breathing for some minutes until my face turned blue hahaha. Few days later I was on the plane to New York, to get to know Amy. According to your website, you made your first musical steps at the age of six, but I think you became the master of guitar few years later. What made you fall in love with the guitar and how can you encourage others to play? I knew that I wanted to become a musician in my very early years and started first out on the piano at the age of 4. When I was 8 years old I was impressed by Bon Jovi’s guitarist Richie Sambora, later Nuno Bettencourt who I still consider as one of the greatest guitarists alive. I started to listen to music of Steve Vai and started practicing Richie Kotzen and Steve Lukather skills on my instrument for hours and hours, while my school friends were playing football or listened to boybands hahaha. I think the best advice for young musicians is to really spend time with their instrument, it is importnant to sometimes get away from all that Facebook, Youtube, Twitter and social media white noise that is just deafening you and focus on music and your instrument. Not only are you a great guitarist, but also you are very talented singer. In 2014 you released your self-titled solo album, which is very personal and powerful. What are your greatest musical inspirations? Is there a chance for your duet with Amy Lee in the future? Thank you very much. It took me approximately 1 year to finish the songwriting of my solo album, which for me was a kind of therapy to process with a lot of things that have happened in my life. Each song means a lot to me as it is connected to a story or part of my personal life. We recorded it in summer 2013 at Gernhart Studios in Germany, I was blessed to have some good friends joining my album for guest solo appearances (Tobias Kersting from Orden Ogan, Manni Schmidt from Refuge, Marco Wriedt from 21Octayne and many more) The album was produced by me, Dennis Hormes (who also did a lot of great solo work on the album) and Martin Buchwalter (Perzonal War). I am definitely looking forward to record material for my second solo album, as soon as I will find the time to do that. In concerns to Ev we will see what the future holds for all of us. I’m very excited, happy, honored and thankful. Apart from Evanescence you are a member of AC/DC cover band called Blackthunder Ladies and in 2014 you joined viking metal band Equilibrium. Is it difficult for you to be involved in so many musical projects? Are you afraid that your career in Evanescence will force you to resign from some of them? I quit the project BTL in the beginning of this year. In Knorkator I am a guest guitarist, which means they are performing shows without me anyway and there will absolutely be no problems in continuing work and live performances with them. We are friends, have high respect for each other and worship each other’s work. In Equilibrium I will stay of course, as long as nobody wants me to leave the band. As I have said, you are very very busy now, but I guess you manage to relax and rest from music for a while. What are your favourite ways of spending free time? In November Evanescence is going to make a huge comeback - three concerts in the US and one in Japan. Rumour has it that these events are connected with the band's 20th anniversary. Can you reveal something more about the concerts? Will we finally hear the new material from the group? As much as I would love to, but sorry… no, can’t say anything about that yet.